Dental crowns are growing in popularity as the days pass. Dentists all over are using them as a way to restore damaged teeth that have experienced decay or erosion from cavities or improper oral hygiene. Dental crowns provide many great benefits to people that are seeking a way to restore their smile, their dental health, and their ability to chew naturally. 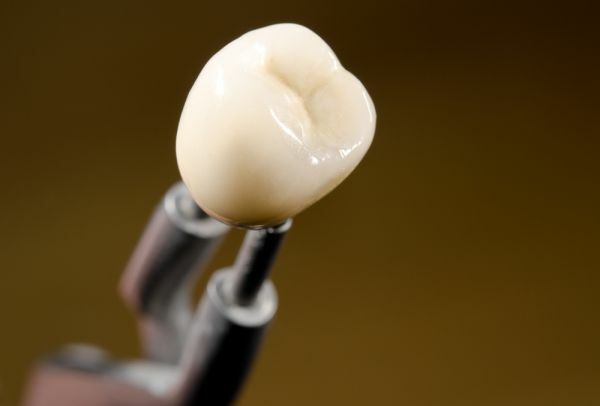 When a person decides to receive dental crowns, they undergo a procedure where the dentist places the dental crown atop the existing natural tooth. The procedure is typically simple and pain-free for the patient and it is usually completed within an hour. Knowing what to expect after the dental crown is placed can be overwhelming. There are a lot of great benefits that a person may experience, but proper care for the dental crown is also necessary immediately after the procedure. Today, we will go over how things will be different for patients post-dental crown procedure. Once a dental crown procedure is complete, the patient may experience some sensitivity at first. However, once the initial healing process is over, a person can expect to get back their normal daily routine. Most people’s daily routine consists of eating three meals a day. Before a crown is placed, a person could experience difficulty in eating normally. Their teeth may be so damaged that they experience pain or discomfort when eating. Having a dental crown placed will ensure that a person can chew and eat naturally – without pain or discomfort. Typically a dental crown is necessary because a certain tooth may be severely damaged. Damaged teeth often bring pain or discomfort along with them, which can be rough on a person trying to go about their day. A painful tooth can cause distress for a person, so once a dental crown is placed, the person can get back to feeling like normal, without the pain. Having a dental crown procedure will ensure that a person’s damaged tooth will no longer cause them pain. While most people don’t realize it, a damaged tooth can actually affect the entire mouth. A lot of damages that incur on teeth can be harmful to other parts of the mouth because there may be bacteria in or around the damage. Damage typically occurs when bacteria eat away at the tooth or when leftover food particles begin to form bacteria. Bacteria spreads very fast, and the mouth is a place that bacteria will thrive in. Receiving a dental crown will close off the damage to the rest of the mouth, ensuring that the mouth remains healthy. While dental crowns do provide a number of beneficial changes to a person, it is still important that the person maintains a healthy dental routine. The crown will do its job so long as the person also does their job of taking good care of the dental crown. Brushing and flossing regularly will ensure that the crown stays in good shape. It’s also important to avoid extremely hard or chewy foods too, this will ensure that the crown doesn’t get cracked or damaged. If you still have questions regarding dental crowns and what to expect once the procedure is over, give us a call today. Dental crowns provide great beneficial differences to a person who has dealt with a damaged tooth. Request an appointment here: https://www.perkinsdentalbaltimore.com or call Perkins Dental Care at (410) 844-0632 for an appointment in our Baltimore office. « What are Artificial Tooth Roots?